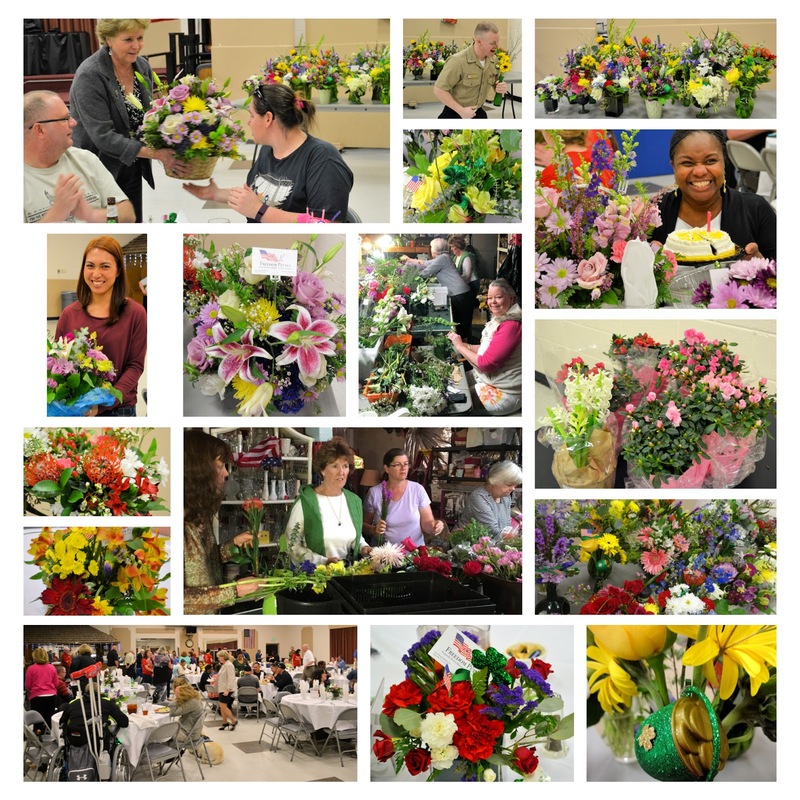 Freedom Petals bouquets to continue to bring joy and healing to our wounded warrior heroes. Thanks for coming to our events and sharing your talents and the gift of your time. These pictures are a few of the arranagments we made after the brunch! Just wanted to remind everyone that our first Volunteer Appreciation Brunch will be held at 9am on Friday, 13 May. We still have room and lots of food if anyone has a change in plans for that morning. I can't wait to just sit down together to eat and enjoy the morning; reflecting on our successful journey bringing flowers to many wounded warriors over the last seven years. Please let me know if you want to be added to our list of attendees. After the brunch we will be making flowers arrangements for the Aleethia Friday Night Wounded Warrior Dinner. As a result of our visit we have signed up to support Boulder Crest's annual fundraising event "A Hoedown" with 20 table arrangements and several flower baskets to raffle. So our June event will be on Saturday, 4 June at 9am. We will deliver the flowers that same day to the Retreat. Please reply if you can support this event. I will be sending another notice at the end of May and more details about the Hoedown to come. ​Looking forward to seeing you on 13 May.